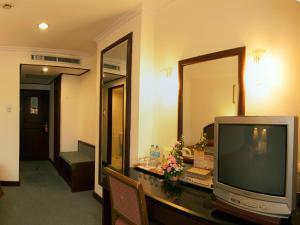 Located in the heart of a vibrant precinct of Nana in Bangkok. Grace Hotel boasts a restaurant, an outdoor pool and a sun terrace. 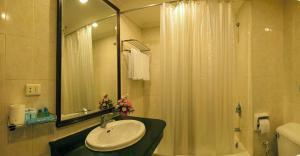 It is just 260 metres from Nana Plaza and 450 metres from BTS-Nana. 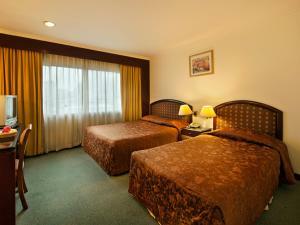 This hotel offers comfortable rooms with thoughtful amenities, city views, free parking space and free WiFi. Within a short stroll, you can find Above Eleven (340 metres) and Central Embassy (800 metres). Soi Cowboy and MRT-Phetchaburi can be reached under 1.2 km. Suvarnabhumi Airport is situated 22.0 km away from the property. 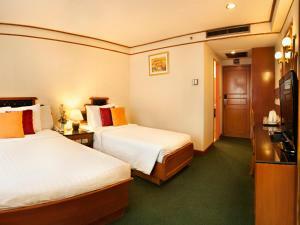 Featuring carpeted floorings, air-conditioned guestrooms at Hotel Grace is complete with a TV, a DVD player and a desk. A refrigerator is also available. 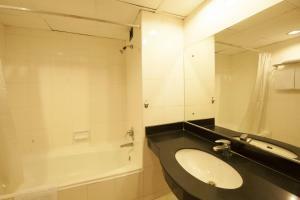 En suite bathrooms are well supplied with a shower and free toiletries. Some units come with a seating area and a bath. At Grace Hotel, guests can contact staff at the 24-hour front desk for assistance or make use of room service and a tour desk. There is also a beauty shop available at this property. Open for all-day dining, the in-house restaurant serves Thai and international specialties, whilst the on-site bar features live music and a range of local and imported beverages. Guests can enjoy a game of billiards at an extra charge. 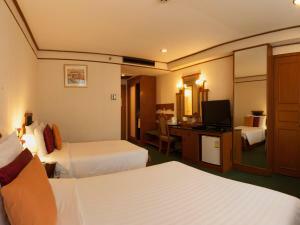 This twin room comes with a TV, a desk and a refrigerator. Free toiletries and a shower are included in the private bathroom. 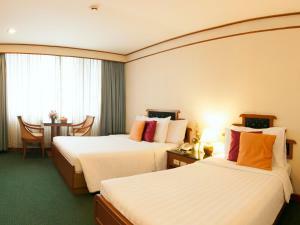 Rate: THB 1650.00 ... THB 3400.00; select dates below to get current rates. 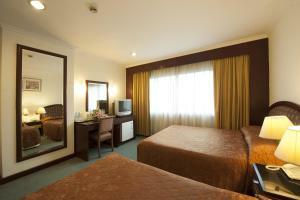 Offering a seating area, this twin room is fitted with a TV, a DVD player and a radio. A seating area and a working desk are also provided. Free toiletries and a bathtub are included in its private bathroom.